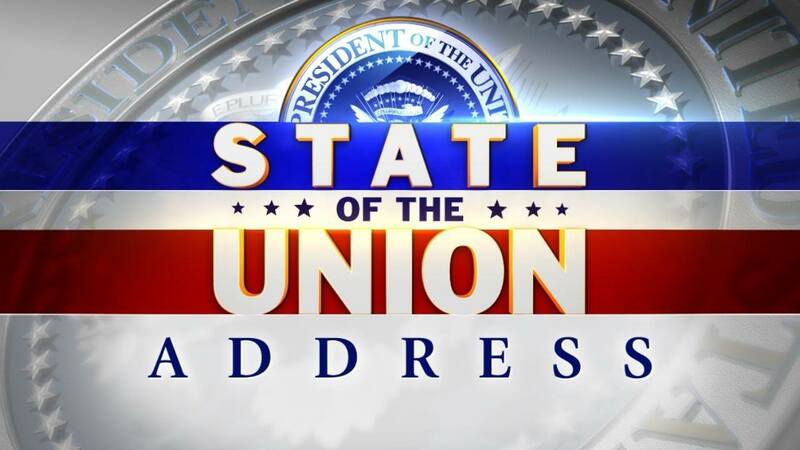 Being invited to “The State of the Union Address” has double meaning for me as both soldier and teacher. As an enlisted soldier I took an oath “that I will Support and Defend the Constitution of the United States against all enemies, both foreign and domestic and I took that oath once again when I was commissioned as an Infantry Officer. Secondly, as a teacher to educate todays next generation on what it is to be an American. 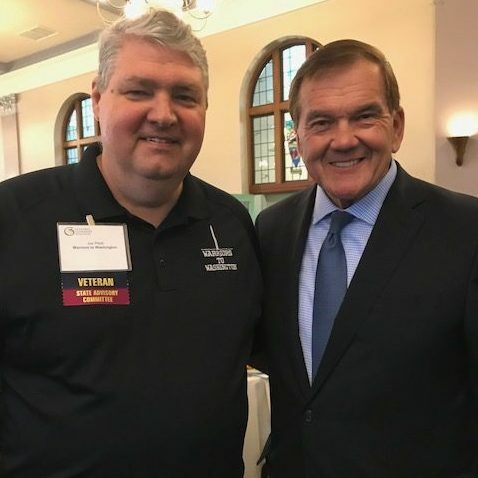 I start this series of post with that in mind because I witnessed the Constitution come to life as required by the President of the United States to Address the Congress. 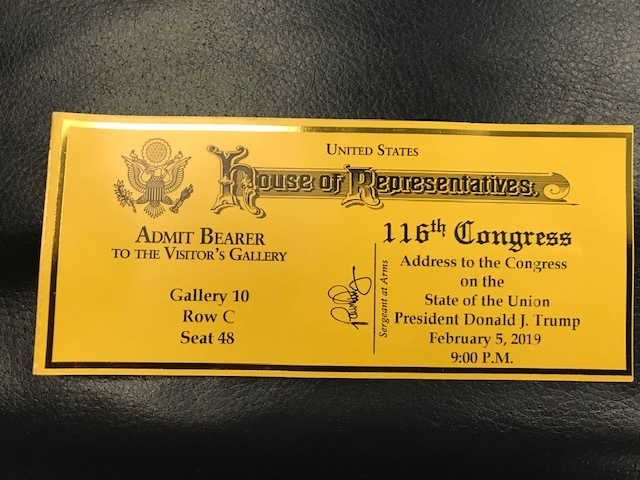 My ticket welcomed me to the 116th Congress, Address to the Congress by President Donald J. Trump. Once I arrived at the US Capitol I had to turn in my phone to the Capitol Hill Police and the Secret Service so I was not able to take any picture in the Capitol or during the SOTU itself. 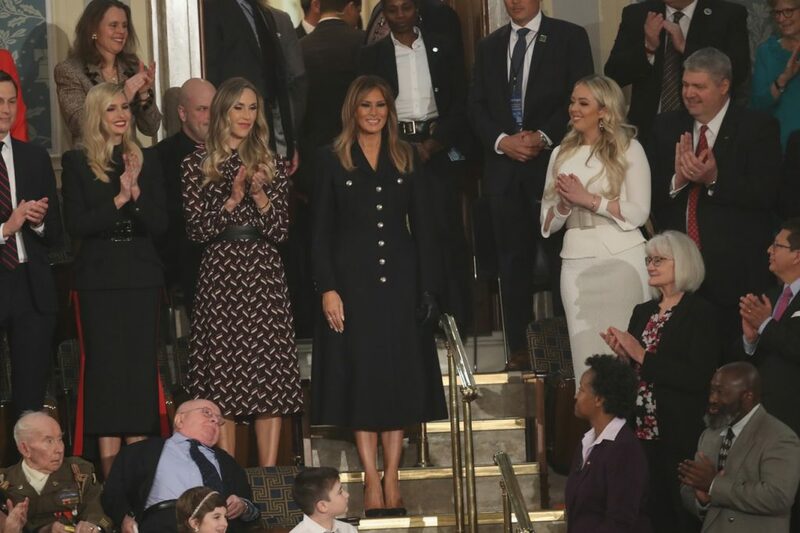 However, seating matters at a SOTU and my seat was unexpectedly terrific and I sat next to Tiffany Trump. Many people sent me pictures right after the Address and I will post a few of them. Let me start off by saying that Tiffany Trump was very warm, friendly and generous with her time with me. I enjoyed the conversation very much and it added immeasurably to the experience of the evening.